Chris Eubank Jr has locked himself away in his Brighton gym with coach Nate Vasquez as he prepares for his impending war with 168 pound rival James DeGale to finally settle their years of feuding once and for all at The O2 on Saturday 23rd February, exclusively live on ITV Box Office. Eubank Jr. has brought in the Mexican, Las Vegas based, trainer Vasquez to his south coast headquarters and is working alongside the experienced wise hand of Ronnie Davies, the integral camp member who formerly trained his father Eubank Snr., and who will oversee the whole camp. The single-minded and determined Eubank Jr. has always insisted that he has trained himself for his fights, but with losses to Billy Joe Saunders and more recently George Groves, Eubank Jr. realises that his career is on the line in the crucial clash against DeGale and needed to make a change. ‘Next Gen’ met Vasquez at Floyd Mayweather’s Las Vegas gym last year where he is a resident coach and the pair gelled after initial talks and training sessions together. Vasquez was a former standout amateur and professional boxer and has worked with a number of prospects at Mayweather’s TMT outfit, including super-middleweight Kevin Newman II and Former WBC World Flyweight title challenger Muhammad Waseem. 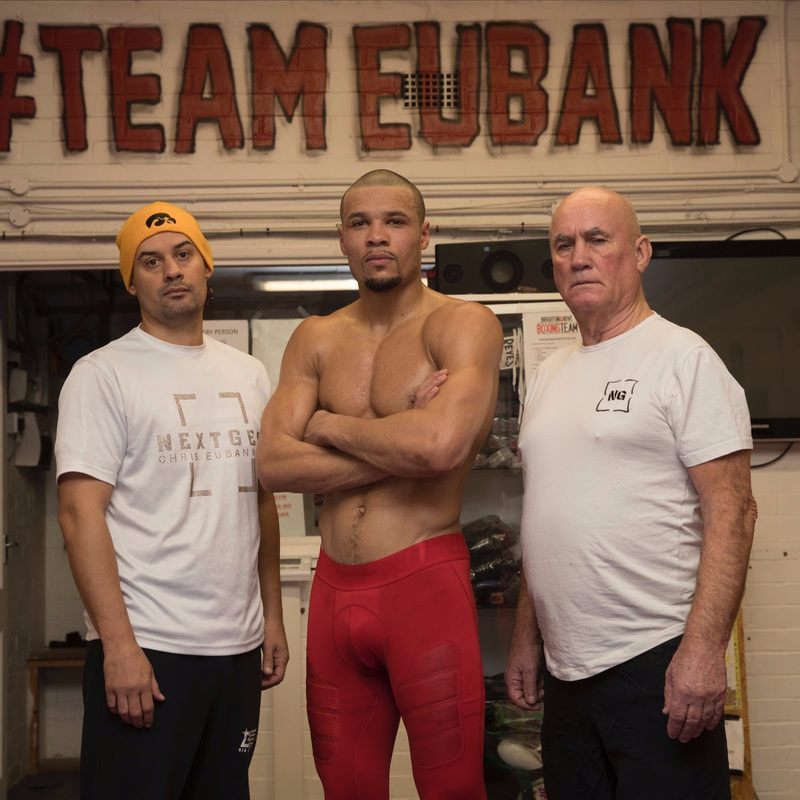 Eubank Jr. has flown Vasquez over to England and put him into accommodation in his house along with a specially selected sparring partner as they work towards defeating the Two-Time IBF World Champion DeGale. “Training is going great with Nate and I feel that I’m learning and improving all the time, he’s brought a new dimension into my camp that I’ve probably needed,” said Eubank Jr.